Home You n News 82-Year-Old Helpless Widow & Granny Beheaded Outside Her Home. 82-Year-Old Helpless Widow & Granny Beheaded Outside Her Home. 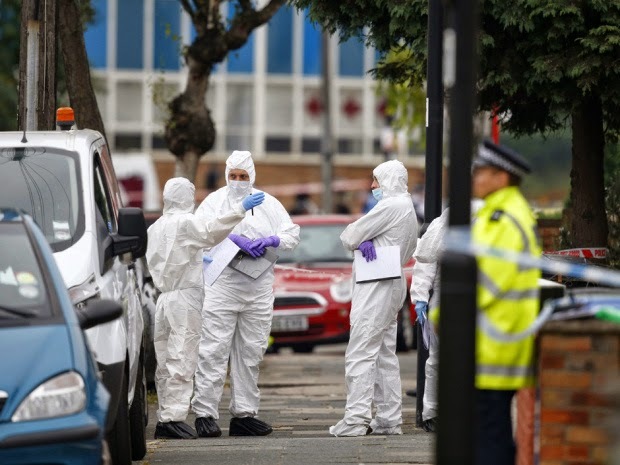 An 82-year-old woman was beheaded outside her London, U.K., home by a man with a machete Thursday. Palmira Silva, a widow and grandmother, was decapitated in her backyard in an apparent frenzied assault by a 25-year-old man who randomly targeted victims. Witnesses said they saw the man, wielding a foot-long blade, attack a passing vehicle and a cat before roaming back gardens for a victim. Police believe the man also tried to attack two people at another home in the street, Nightingale Road, but they were able to escape without injury. The man was arrested after armed police, who had distracted him to avoid other attacks, cornered him in a house and brought him down with a Taser stun gun. Some officers were injured. Ms. Silva, who was of Italian descent, was pronounced dead at the scene. 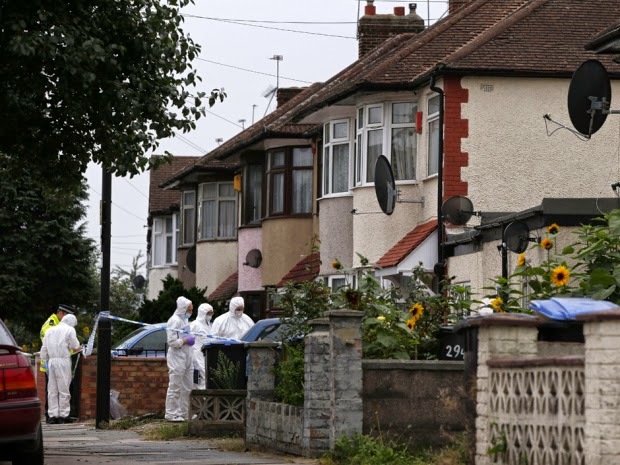 forensics personnel examine the scene on a street in Edmonton, north London, on Sept. 4, 2014, after a woman was found dead following a suspected beheading in a residential garden. One line of inquiry for detectives is understood to be that the man was inspired by recent footage of terrorists beheading two American journalists in Syria. 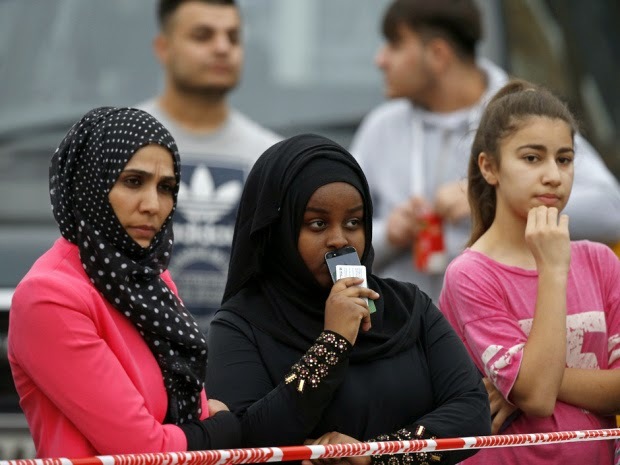 Some residents of the area, in Edmonton, north London, claimed last night that the suspect was a local man who had converted to Islam last year, but those claims could not be verified. Detectives said they had ruled out terrorism as a motive for the killing. Witnesses described a dramatic police operation in which officers smashed windows of neighbouring properties, carrying screaming children and leading terrified residents to safety. One neighbour told of her narrow escape and said she believed the attacker was a local man. Freda Odame, 30, a catering worker, said she heard a commotion and pulled back her curtains to see a black man in his mid-twenties with a knife. “Someone was shouting and the door was banging. I could hear the screaming but I could not hear what he was saying,” she said. “I could see that he had a big curved knife, about the size of an arm’s length and he was crouching as if frantically searching for something. “He had a crazed look in his eyes so I closed my curtains because I was scared. My next door neighbour was in his garden but did not seem to realize anything was going on. “I have seen him around here all the time, I think he lives on the road. I think he lives with his family. “I was just so very scared. 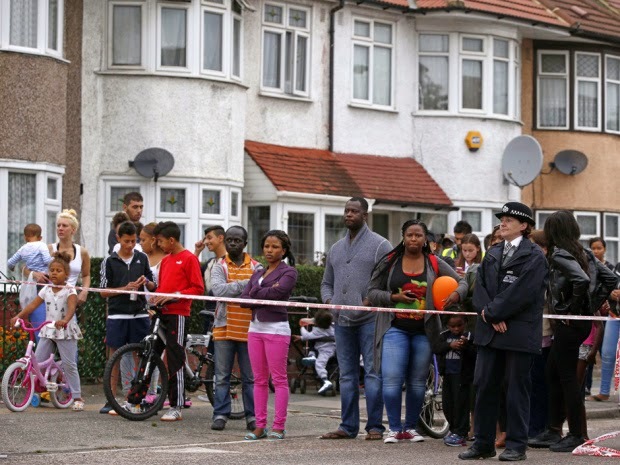 Five minutes after I heard him screaming the police knocked on my door and told me I had to get out.” Residents gather on a street in Edmonton, north London, on Sept. 4, 2014, after a woman was found dead following a suspected beheading in a residential garden. Sue Mahadooa, 50, a neighbour who saw police cars screech to a halt outside her home, said officers were running down the street shouting at people to get out of their homes. Officers with battering rams began breaking down front doors and smashing windows to help residents to safety, unaware of which property the killer was in. Ms. Mahadooa said the property where it is believed the woman was killed in the back garden is split into three maisonettes and police were desperate to get residents out of the building without sending them into the corridor of the house. “These officers ran up and started trying to help these two children and a woman out of the little top window of the ground floor,” she said. “The woman couldn’t get through the window so they started smashing the bigger one, but then I saw them get her out of the front door.